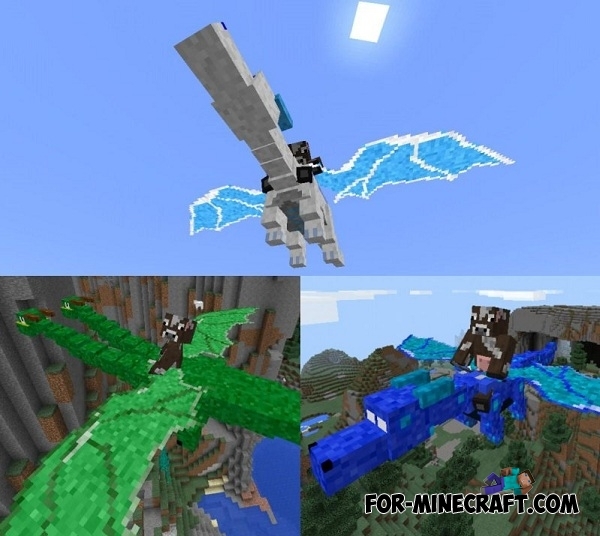 This epic mod will make of you a rider of the ancient dragons! To get started you need to grow, feed and then ride the dragon. Each dragon is unique and can to flap their wings in flight. Dragon will change its color after you click on it. Wait a few seconds and a small dragon hatched from an egg! You need to tame your dragon to fly on it. 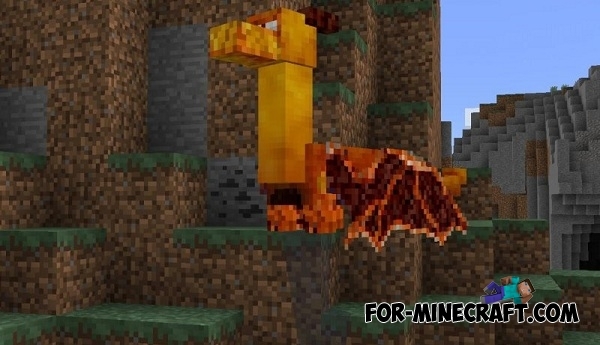 Just continue to tap by the same item, through which you choose the type of dragon (for example - Blaze rod) and after some time the dragon will get bigger. 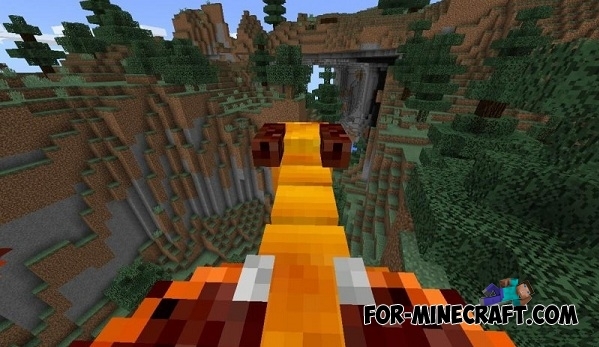 Just tap 2 times on it by hand to ride this fantastic creature and after a moment you will have to fly at high speed! Dragon will protect you like a tamed wolf. 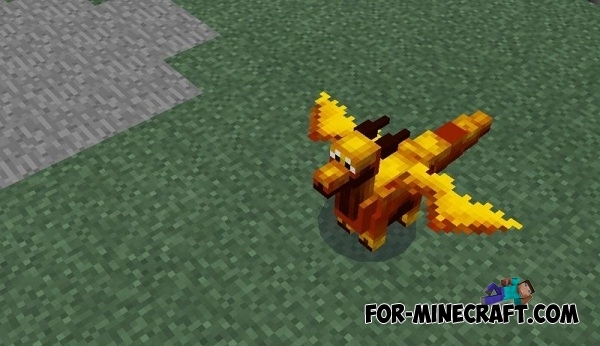 Dragons mod for Minecraft PE 0.10.5With this modification, you will be a special spawn dragons egg. There will be seven eggs and use them in the game world will be seven unique dragons. When I use the dragon egg it hatches a villager, that does not move and is immortal. What should I do? Do you have to down load it?If you do how much does it cost?If you don't how do you down load it?Can you tell me how please?